Oct. 14, 2015, 10:41 a.m.
Hoodline, which covers 24 neighborhoods throughout San Francisco, says its granular coverage makes it stand apart. By Joseph Lichterman @ylichterman Oct. 14, 2015, 10:41 a.m.
For months, the fate of the beloved bakery chain La Boulange has captivated San Franciscans. Starbucks bought the chain in 2012 and, in June, announced that it was closing all of La Boulange’s stores, most of which were located in the Bay Area. Outrage over the closures slowly turned to hope as rumors percolated all summer that La Boulange’s founder, Pascal Rigo, was planning to re-open some of the cafes. Then, on September 22, Rose Garrett, the managing editor of Hoodline, a hyperlocal site covering 24 San Francisco neighborhoods, landed a scoop: A business named La Boulangerie de San Francisco had filed papers with the city to open in La Boulange’s original location. While the La Boulange saga received outsized attention, neighborhood stories like this are the core of Hoodline’s reporting. The topics it covers — an increase in rat sightings in parks in Embarcadero; how bus-only lanes have affected traffic in the Lower Haight — are typical of any hyperlocal outlet. They tend to be too small for most local media organizations to cover, but are of great importance to people who live in those specific neighborhoods. Hoodline, however, has taken a more data-intensive approach to its coverage. Garrett based her La Boulange story on government documents, which she found using a platform that Hoodline developed to scrape city databases and send updated filings into neighborhood-specific Slack channels. But Garrett’s reporting also included tips and information that readers sent in to the site. “It’s about the synthesis of data and traditional reporting,” said Eric Eldon, the site’s cofounder and editor-in-chief. Eldon was formerly the co-editor of TechCrunch. 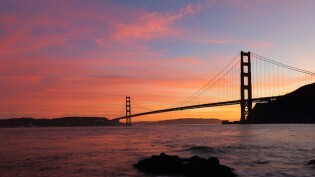 San Francisco’s media ecosystem has been devastated by the changing news business. A 2011 survey conducted by the San Francisco Peninsula Press Club found that the number of journalists working in the Bay Area had decreased by 44.7 percent during the previous decade. In this environment, Hoodline aims to stand out, and find success, by covering very granular stories — businesses opening and closing, property development, small-time crime — on a daily (rather than monthly or weekly) basis. Hoodline hopes to use partnerships to reach a larger audience while amplifying the work of other hyperlocal outlets. Right now, the site is paying to syndicate stories from Central City Extra, a monthly nonprofit newspaper in the Tenderloin with a minimal web presence. The San Francisco Examiner also regularly runs Hoodline stories in its print edition. Examiner reporter Joe Fitzgerald Rodriguez first broached the idea of Hoodline and the Examiner working together, meeting with Eldon over pizza. The arrangement isn’t a financial one (no money changes hands), but Hoodline gets publicity while the Examiner gets free stories that it might not have the bandwidth to cover itself. “Their bread and butter is those features I don’t always get to,” Rodriguez said. Today, Hoodline covers 10 San Francisco neighborhoods regularly and another 14 less frequently. It averages about 200,000 unique visitors per month. About a third of its traffic is direct, a third comes from search, and a third comes from social media (mostly Facebook, by volume). The site has a full-time staff of eight — about half reporters and half developers — and a larger freelance network of about two dozen contributors. Eldon said Hoodline is committed to paying its writers, and may also offer its most prolific freelancers stock in the company. The current iteration of the site launched in March 2014, when it evolved out of a network of three other hyperlocal sites. The oldest, Haighteration, was created by Hoodline co-founder Andrew Dudley in 2010. In its earliest days, Hoodline ran on WordPress, but the site made the switch to its own custom CMS, which was designed by a reader who also happened to be a software developer. Hoodline got beta access to Slack, and the popular messaging app has become central to its internal organization. All of its freelancers are organized by neighborhood and have access to their neighborhood’s Slack channel. There are also channels for the site’s main tip line, its social media activity, all the comments that are left on the site, and more. 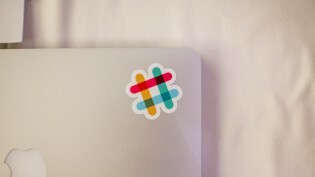 “We’re hoping to integrate Slack much more tightly with our CMS in the future,” Eldon said. Hoodline also developed a bot that scrapes city records and sends information to each neighborhood’s dedicated Slack channel — that’s how it got the scoop about La Boulange, the bakery chain. Hoodline staffers used to go through city data sets — liquor licenses, restaurants opening and closings, building permits — manually, but as the site began to add new neighborhoods, it became increasingly difficult to sort through all that information. The bot now scrapes about a dozen different data sets, mostly from the city of San Francisco, and then the information is searchable by address or neighborhood, using neighborhood boundaries that Hoodline itself created. Tips from readers are also crucial to Hoodline’s reporting. Users can submit tips to Hoodline through a form in its app and on its website, but Eldon would like to streamline the process to better integrate users’ contributions into the CMS. Hoodline has attracted some criticism for the lack of diversity in the neighborhoods it covers. Eldon said Hoodline is focused on covering densely populated neighborhoods with distinct business centers — “each neighborhood has its own mini-sagas happening.” But others argue that, by using business-focused criteria to choose its coverage areas, Hoodline limits itself to the most affluent areas of San Francisco. Alexander Mullaney, who runs the Ingleside-Excelsior Light, a 10,000-circulation monthly neighborhood newspaper, said he admires Hoodline’s coverage, especially its partnership with Central City Extra and its commitment to daily coverage (most neighborhood newspapers in the city are monthlies). Mullaney is a member of the San Francisco Neighborhood News Association, and he said he’s worked with Hoodline to connect it with other hyperlocal publications that it could potentially partner with. Going forward, Hoodline is looking for new ways to make money. For example, the site gets lots of tips about job openings and event listings. Eldon believes there’s an opportunity to monetize that type of information. Local newspapers, of course, used to make boatloads of money through classified ads and job listings. But, while sites like Craigslist and Facebook killed a lot of that revenue, Eldon said he thinks Hoodline could be relevant in the area. “We are definitely interested in making money by competing against technology companies for things that they are making money on already or are trying to make money on,” Eldon said. Ultimately, Eldon said Hoodline could expand beyond San Francisco, but for now, though, the site is focused on the city and will continue to report deeply local stories that matter to residents. 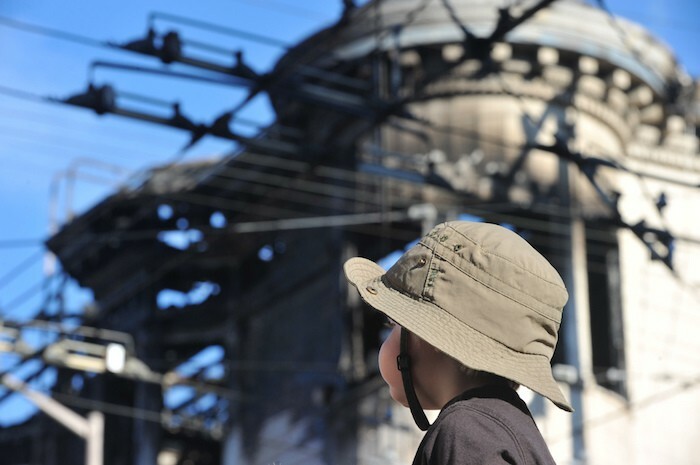 Photo of the aftermath of a 2011 fire in the Lower-Haight neighborhood by Sethoscope used under a Creative Commons license. POSTED Oct. 14, 2015, 10:41 a.m.
Lichterman, Joseph. 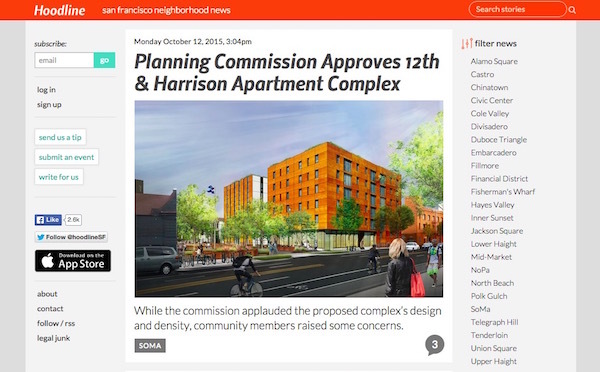 "With a neighborhood-level focus, Hoodline is trying to fill a gap in San Francisco news." Nieman Journalism Lab. Nieman Foundation for Journalism at Harvard, 14 Oct. 2015. Web. 19 Apr. 2019. Lichterman, Joseph. 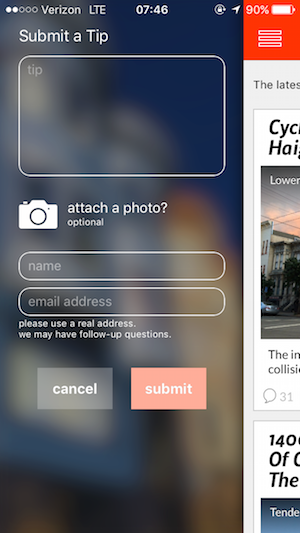 "With a neighborhood-level focus, Hoodline is trying to fill a gap in San Francisco news." Nieman Journalism Lab. Last modified October 14, 2015. Accessed April 19, 2019. https://www.niemanlab.org/2015/10/with-a-neighborhood-level-focus-hoodline-is-trying-to-fill-a-gap-in-san-francisco-news/.